This Greek Yogurt Curry Chicken Salad is super flavorful and simple to make! It’s lightened up and packed with protein thanks to Greek yogurt. It tastes amazing as a sandwich, salad, or with pita chips and veggies! I’ve got a quick recipe to share with y’all today, and I’m inclined to believe that you are going to really enjoy this one; Greek Yogurt Curry Chicken Salad! Chicken salad is one of my go-to lunches, especially when I have a rotisserie chicken sitting in the fridge that needs to be used up. I love this version because the curry powder gives it AMAZING flavor, and the Greek yogurt is much healthier than traditional mayo. Plus, you get a nice crunch from the almonds and the grapes help to balance everything nicely. 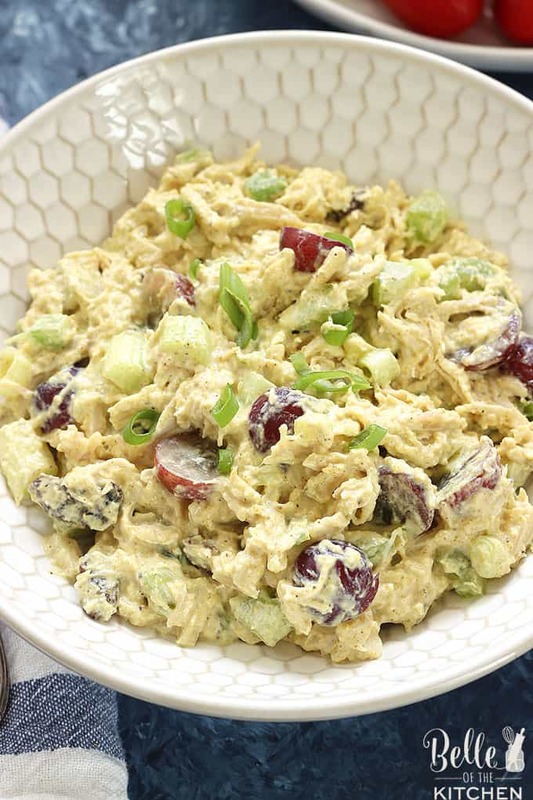 This Greek Yogurt Curry Chicken Salad is delicious with crackers, on top of salad greens, OR…. my personal favorite, spooned onto a buttery croissant with some leafy lettuce for good measure. SO GOOD! ???? 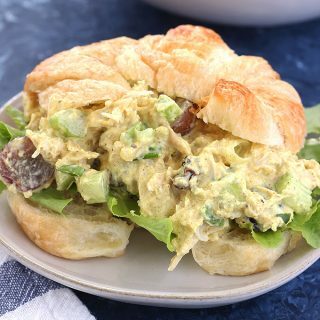 This Greek Yogurt Curry Chicken Salad is super flavorful and simple to make! 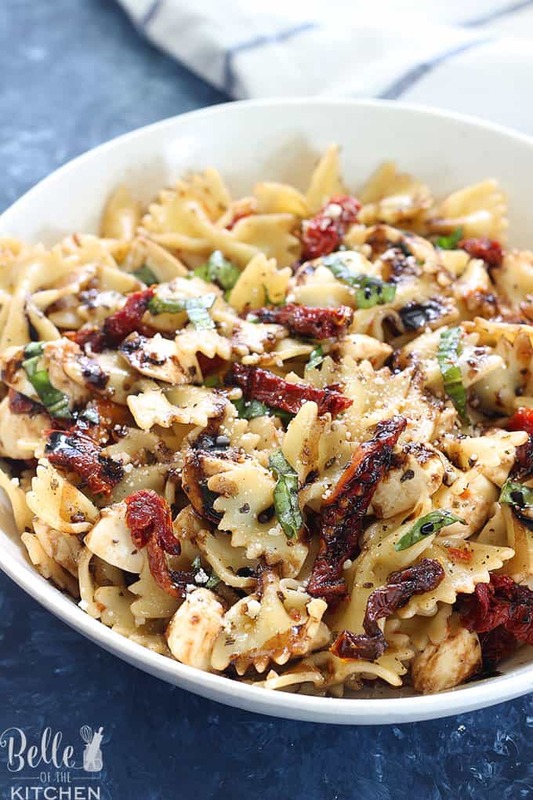 It's lightened up and packed with protein thanks to Greek yogurt. 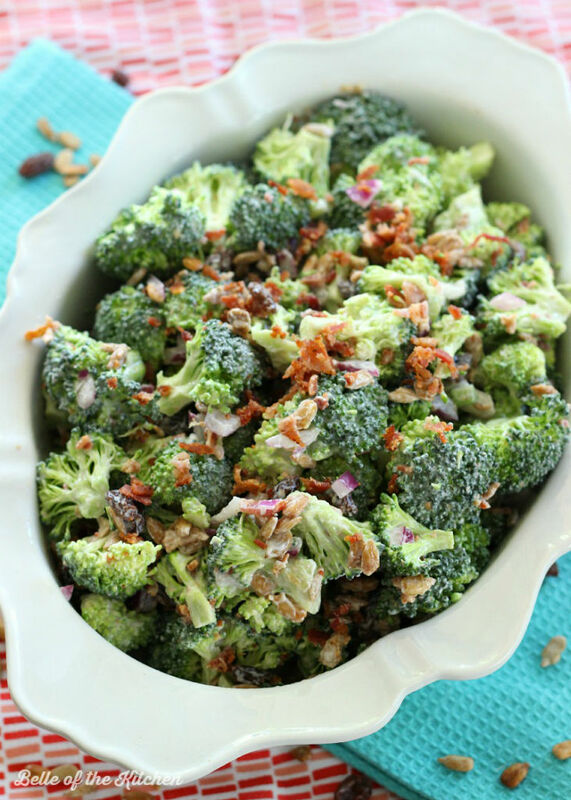 It tastes amazing as a sandwich, salad, or with pita chips and veggies! In a medium sized bowl, whisk together the Greek yogurt, lime juice, curry powder, salt, and pepper to taste. Add the chicken, green onions, slivered almonds, grapes, celery, and raisins (if using) to the dressing. Stir everything well to combine. Serve as a sandwich, over a bed of fresh salad greens, or with pita chips and fresh chopped veggies. Keeps in the refrigerator for up to 3 days. Enjoy! Must try this, especially changing Mayo for yoghurt. This Chicken Salad sounds great! Looks so flavorful! The textures here are amazing! Chicken salad is one of those things I get out but would love to make at home. 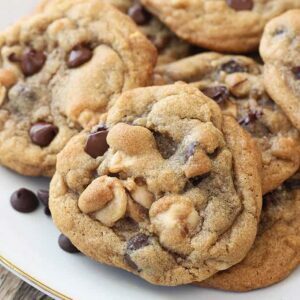 Happy to find your recipe! 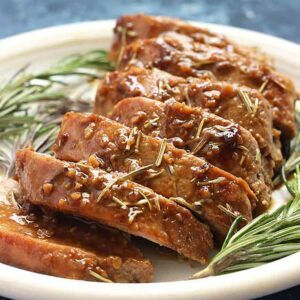 This is an easy stressfree meal. 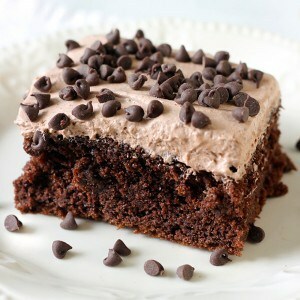 So rich and yummy looking. I bet it tastes divine. 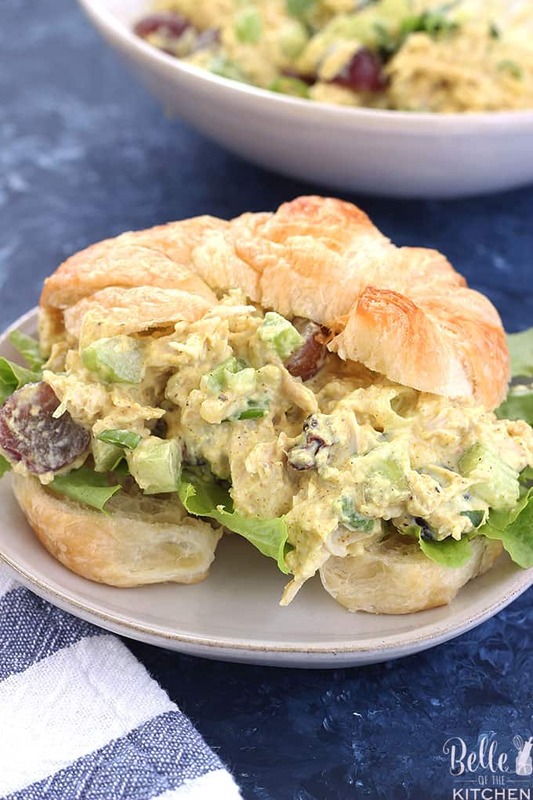 This curry chicken salad looks so delicious and light … I personally am not a fan of mayo so definitely trying this version.. yummilicious!! 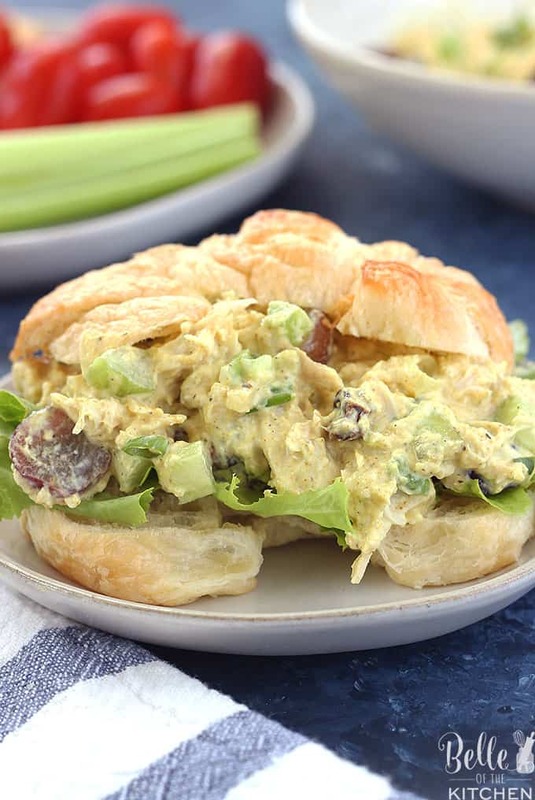 I love a chicken curry salad and the Greek flavors are a delicious addition, I must try this. Your chicken salad looks so tasty. 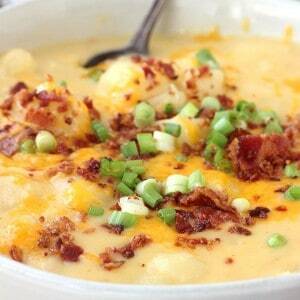 A great lunch idea for summer. I really like to use Greek yogurt as a replacement for mayo, gives a nice tangy flavour. I make a chicken salad like this, it’s so delicious! I love the tang from the greek yogurt.